Don’t you just love the smell of autumn? 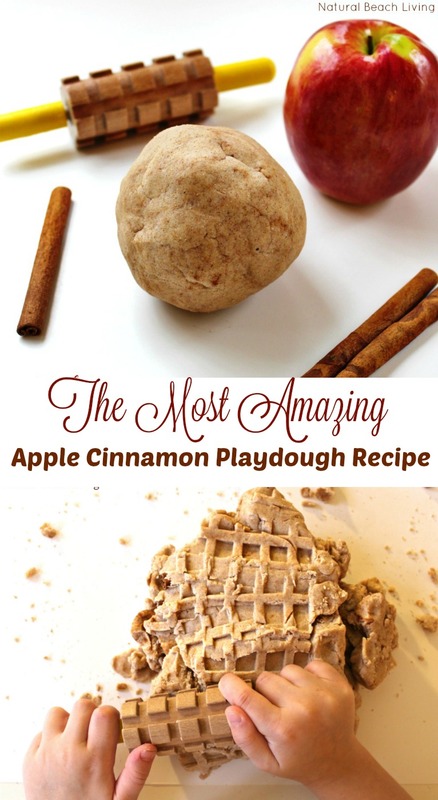 Cinnamon, pumpkin, nutmeg oh my! We can’t get enough of it. 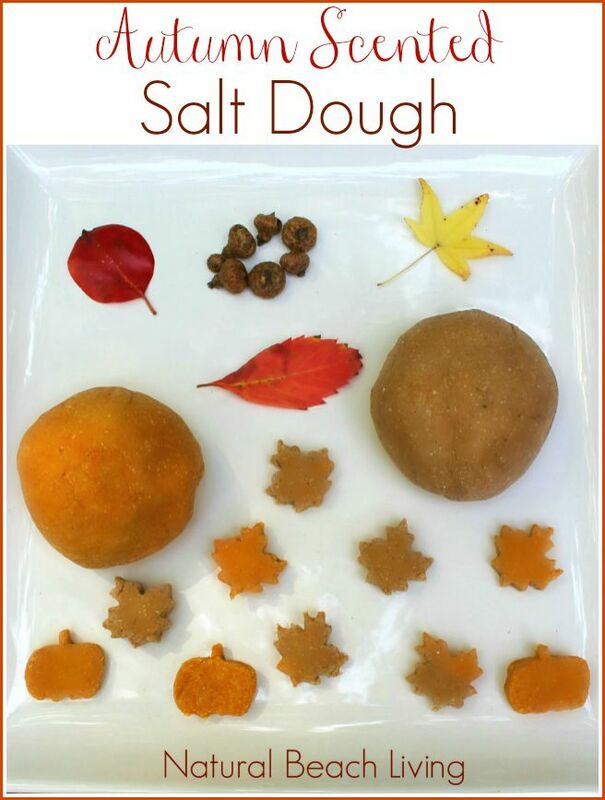 So it seemed like the perfect time to make a batch of autumn scented salt dough and share this amazing and easy recipe with you. Any fall spices – We used 2 tsp. of each Pumpkin Pie Spice and Nutmeg. Optional food coloring- we prefer the Wilton food gels. They give great color, and you only need a little dab. You can make the colors a lot richer by adding more. I prefer to stay on the natural side for our family. 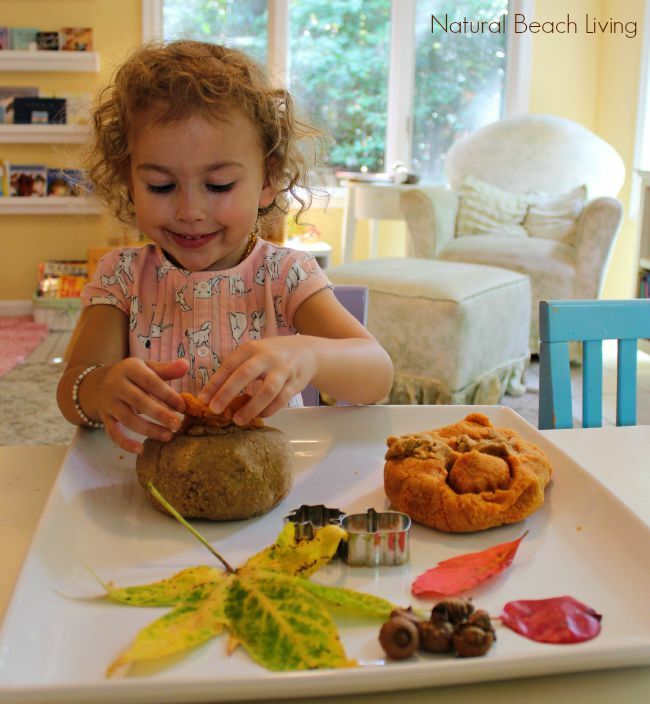 You can add a Fall Mini Cookie Cutter Set and natural materials like leaves and acorns for added fun. Easy Directions– Add all of the ingredients into a bowl. (coloring works great if you add it to the water or right after pouring the water before you mix). Mix it up completely until it forms a ball and is not sticky. After playtime, you can lay the creations on a cookie sheet and bake at 200 degrees for approximately 3-4 hours (timing depends on thickness and size of dough). The kids also loved making these cranberry play dough ornaments at Christmas time. I hope you get the chance to try out this wonderful smelling salt dough. I am sure you and your children will love it as much as we do. In fact, after trying it out head over to my Facebook page and share a picture with us. 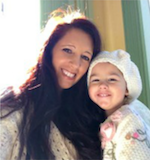 We love seeing your pictures. 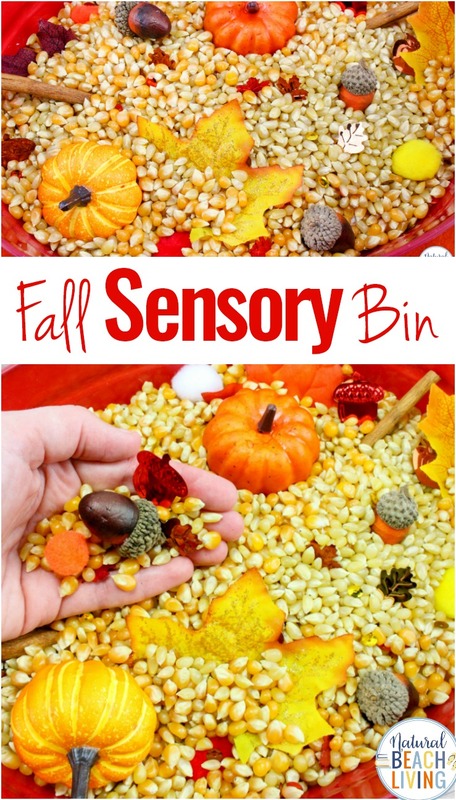 Interested in a great book full of amazing sensory play ideas or getting more information on Sensory Processing Disorder? 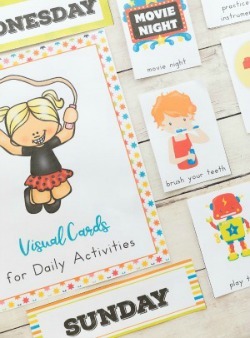 These are great resources to have. 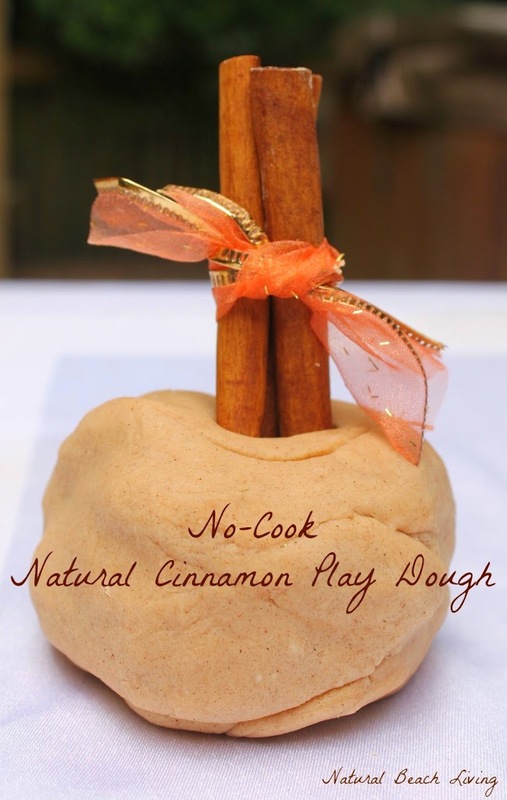 Everyone loves this No Cook Natural Cinnamon Play Dough. 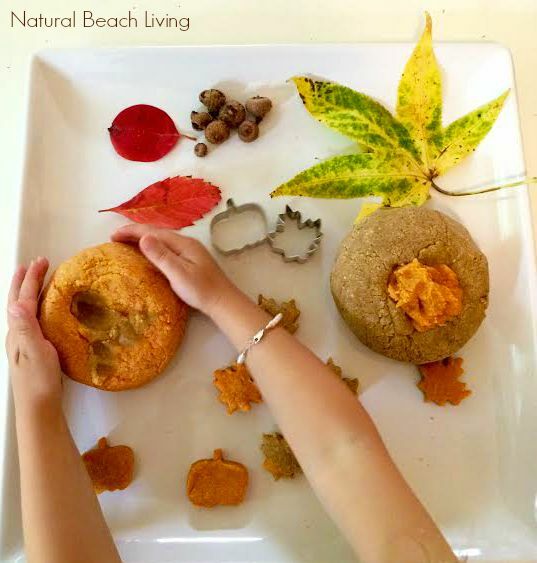 It is the perfect play dough for the fall! Don’t you just love autumn?! I love how you used pumpkin spice and nutmeg to make the autumn scent.